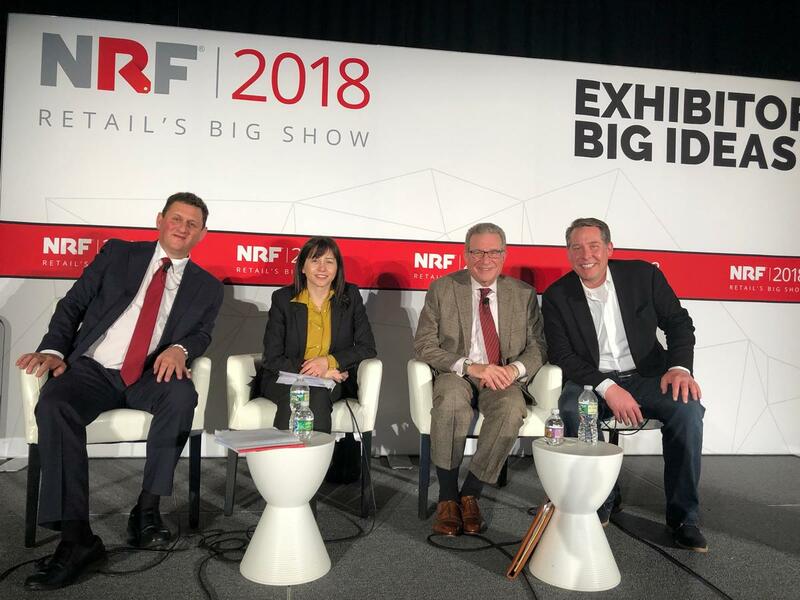 This year’s NRF Big Show was bigger and better than ever. No surprise there. From artificial intelligence (AI) to the Internet of Things (IoT), robots and everything in between, technology was front and center for all attendees. What is surprising is that all of this technology affects consumers and retailers in different ways. Some generate large benefits, while others pose complex challenges. One thing is certain – they are all disrupting the industry in unique ways. Retail disruption was a key theme for the First Insight team and the topic of our Big Ideas session. Our CEO & Founder, Greg Petro, was joined by a powerhouse group including Richard Flaks, SVP Planning & Allocation, Chico’s; Dana Telsey, CEO & Chief Research Officer, Telsey Advisory Group; and Les Berglass, CEO & Founder, Berglass + Associates. Consumers are more in control than ever before. They have the knowledge and the technology to make informed purchasing decisions. In fact, according to our recent survey, 60 percent of consumers check Amazon for products and pricing before looking elsewhere. Additionally, more than half of affluent smart speaker users, those making $100K or more, are using those devices to research prices. Furthermore, consumers have become addicted to promotions. Another survey from our team found that American women won’t even enter a retail store unless there’s a deep discount. 2017 was a record-breaking year for bankruptcies and store closings. 2018 could be a repeat if more retailers and brands don’t concentrate more on their product offerings and pricing strategies. It’s never been more important to understand your customer’s expectations and what compels them to buy. - Contact us to learn how your product success rates benchmark against your industry peers.